Covering her tear-filled eyes with her hands, she says it was hard to wait for more than 5 years to return home. Yousafzai said in a brief speech at a ceremony at Prime Minister Shahid Khaqan Abbasi’s office that she will continue to campaign for the education of girls and asked Pakistanis to be united on issues like providing better health care and education. She said she remembered having to leave Pakistan for treatment after she was attacked. Covering her tear-filled eyes with her hands, Yousafzai said it was hard to wait for more than five years to return home. “It is now actually happening and I am here,” she said. Nobel laureate Malala Yousafzai attends the World Economic Forum in Davos, Switzerland, on Jan. 25, 2018. Abbasi praised Yousafzai for her sacrifices and role in the promotion of girls’ education. He said he was happy to welcome her home, where he said terrorism has been eliminated. 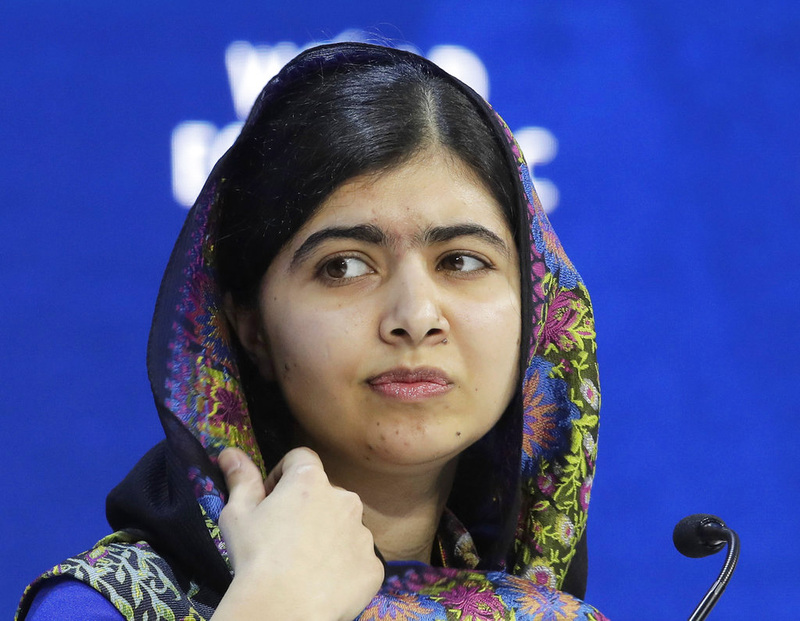 Since her attack and recovery, Yousafzai has led the “Malala Fund,” which she said has invested $6 million in schools and to provide books and uniforms for schoolchildren. “For the betterment of Pakistan, it is necessary to educate girls and empower women,” she said. Earlier, tight security greeted the now-20-year-old university student upon her arrival at Pakistan’s Benazir Bhutto International Airport. Local television showed her with her parents in the lounge at the airport before leaving in a convoy of nearly 15 vehicles, many of them occupied by heavily armed police. Her return had been shrouded in secrecy and she was not likely to travel to her hometown of Mingora in the Swat valley, where the shooting occurred. As news broke about Yousafzai’s arrival, many of her fellow Pakistanis welcomed her. 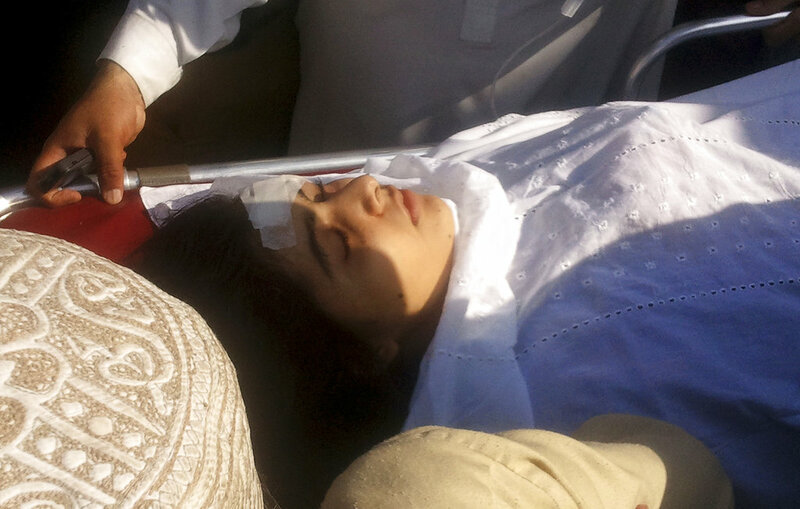 On Oct. 9, 2012, a severely wounded Malala is moved to a helicopter to be taken to Peshawar for treatment after she was shot by Taliban militants angered at her championing of education for girls. She was 15 at the time. Cricketer turned opposition leader Imran Khan’s party said Yousafzai’s return was a sign of the defeat of extremism in the country. Mohammad Hassan, one of Yousafzai’s cousins in the northwestern town of Mingora, said it was one of the happiest days of his life. He said he was not sure whether Yousafzai will visit her home town, where schoolchildren were jubilant on her return, though they wished Yousafzai had visited Mingora so that they could greet her. Javeria Khan, a 12-year-old schoolgirl in Yousafzai’s hometown, said she was excited about Yousafzai’s return. “What an incredible surprise I woke up to this morning” to know that Yousafzai is back along with her parents, she said. Memon said it was a proud day for Pakistan that Yousafzai was back in Pakistan. The AP’s Kathy Gannon in Kabul, Afghanistan, contributed to this report.